Greetings, Lovely Internet People!Â It is I, Elizabeth the Great and Terrific.Â I will do the blogging for Mama today because I do not wish to take a nap.Â Naps are for babies. 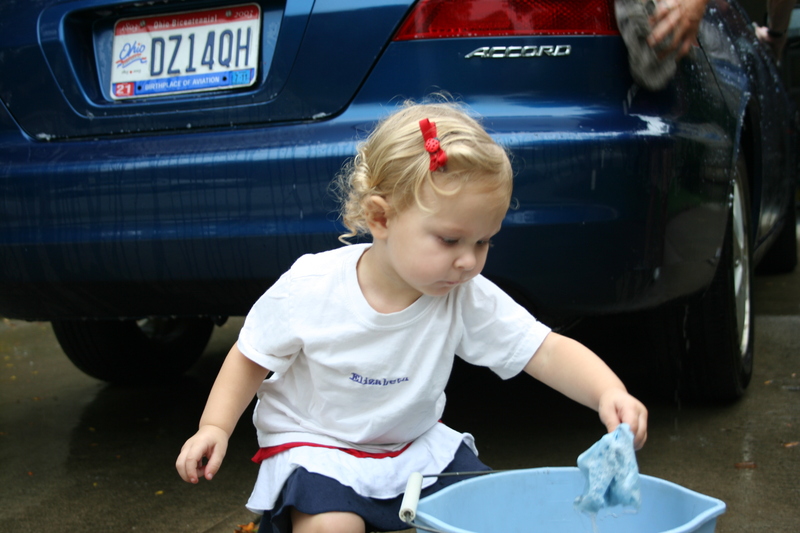 Instead of taking a nap, I shall instead show you how to wash a car.Â First, you need your cute hair bow with the ladybug on it and your shirt with your name on it. Then you get a nice blue bucket and a rag and you scrub, scrub, scrub! I should note that this is not Mama’s car.Â This is Blue Car!Â I like Blue Car. 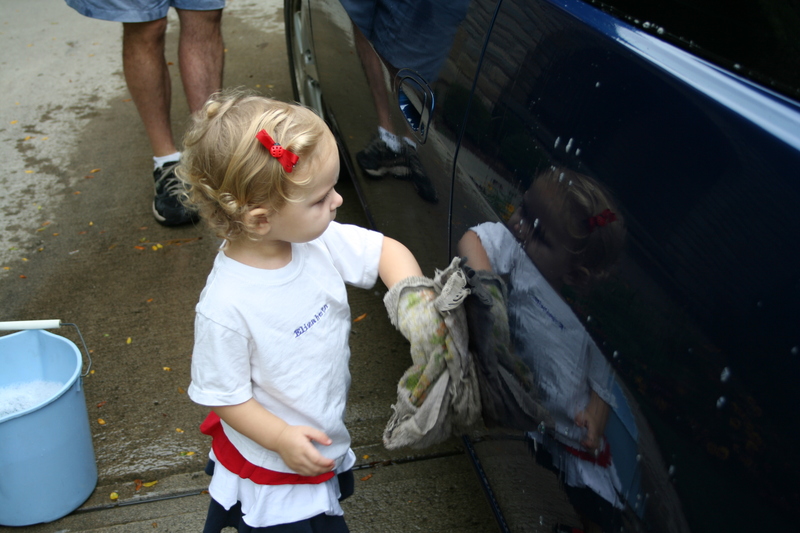 You want to make sure that you shine the car really well so that you can see how pretty you are in the side of it. People tell me that in the grocery store all the time.Â Mama says it will eventually go to my head, but at least it is true. 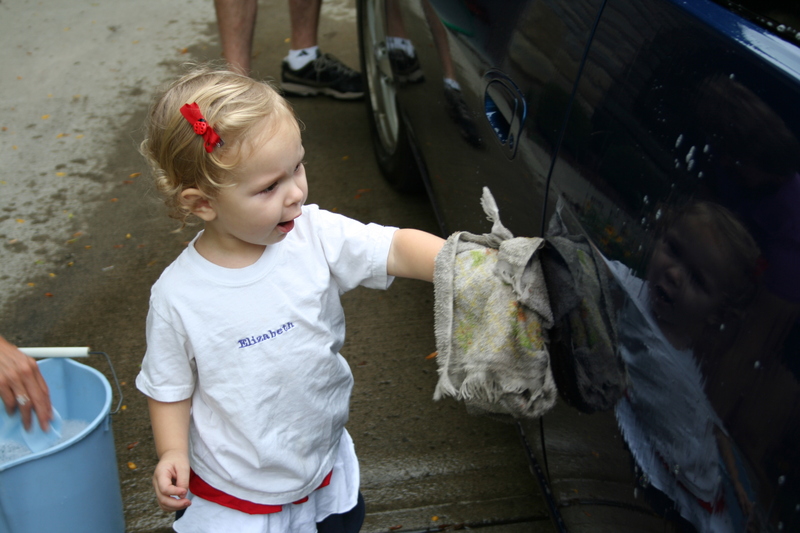 Now, when you are washing the car, you will want to rinse your rag off often.Â The reasons for this are two-fold.Â Firstly, it allows you to have a nice clean rag and get the car cleaner.Â Secondly, it allows you to stick your hand in a bucket of water which is FUN. 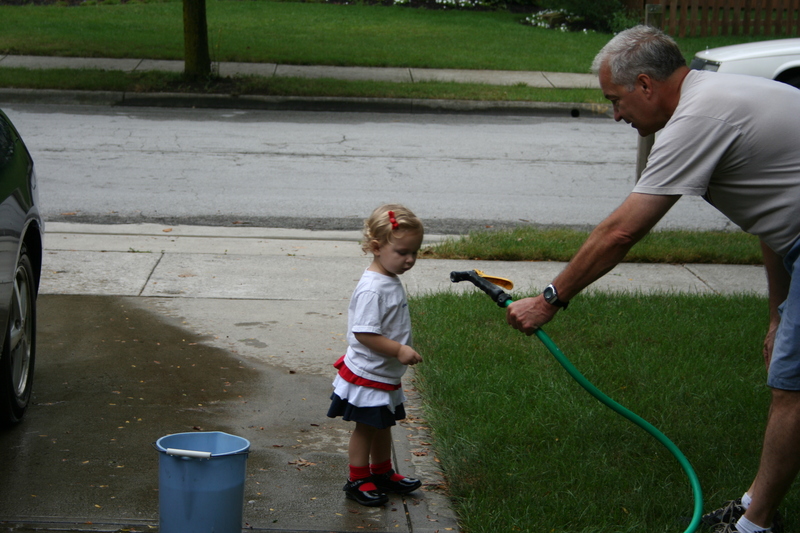 I hope you enjoyed this car washing lesson.